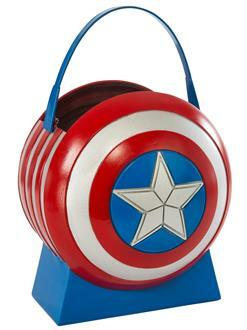 The Captain America Avengers 2 Collapsible Shield Pail will hold all his trick or treat goodies. Make sure your child has the best costumes and accessories on the block this Halloween. Add this to your cart today!